Our classes are offered on a drop-in basis, which means you can start at any time, and you don’t have to attend class every week. They are structured so you can miss classes and still pick up where you left off. Please book your classes in advance each time you attend (see schedule above), preferably at least 2 hours before your class starts. This helps speed up the check-in process for everyone and allows us to notify students in the event of any last-minute class changes or cancellations. On Monday nights, we recommend arriving 10-15 minutes early, but please do not enter the building earlier than 7:30pm. If it’s your first visit to our studio, please arrive at the time of the Intro class, even if you have previous experience. If you’re already an experienced salsa dancer, you can arrive 15 minutes early and let us know that you’d like to be evaluated before class to see which level you belong in. You can view our syllabus here, or right-click on the link to download it. You will need to demonstrate proficiency in the patterns and technique taught in each level before you can be promoted to the next level. 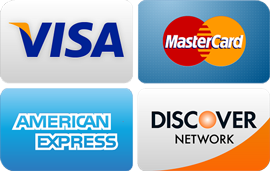 We accept cash, credit/debit cards, and personal checks. Please note that there is a $25 fee for all returned checks. Packages are valid for Monday class only and cannot be shared or transferred (one package per person). We reserve the right to cancel a class if fewer than 4 students show up for that level. In the event that one level is cancelled on a particular night, the other levels will still be taught as planned. Refund Policy: Individual classes are non-refundable, but we will give a credit if a student has to leave within the first 15 minutes. Group class packages are eligible for a prorated refund within 30 days of purchase, provided that no more than 1 class has been used. Still have questions? Check out our FAQ page or contact us.